Moseley Golf Course in Birmingham periodically deal with their fox 'problem' by luring, lamping and shooting them. Not only is this cruel, but it is an ineffective resolution. Foxes are a self regulating population, reaching their own equilibrium within the carrying capacity of their habitat. When one territory is vacated, another fox simply moves in. If more are shot, more vixens reproduce. Culling was tried in London boroughs, but ceased in the 1980's, as it was discovered it took but four days for a new fox to appear. The cull, for all its expense, had no effect on the fox population. 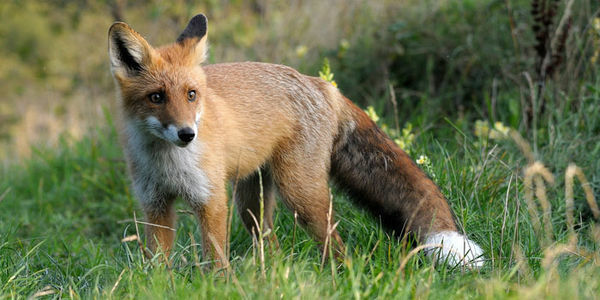 Culling can however cause more disputes for the empty territory, resulting in more marking and fouling by the increased number of foxes hoping to compete for the area. The golf course say that the foxes defecate upon their greens and burrow into their sandbanks, which apparently causes the grounds men problems and golfers (they claim) don't like it. I would suggest many golfers enjoy the sport due to their proximity to nature and would appreciate seeing a fox. I live adjacent to the golf course, and we see and hear the lures, lamping and shooting. It is very distressing to us as residents. I hear the plaintive cries of the fake lure late at night, and then listen involuntarily for the inevitable sickening shots. My young daughter is woken by the noise and sobs as she can see the lamps from her window. I'm heartbroken to think of the unnecessary suffering of these animals that have been absented from my garden. Please help me to prevent this cruelty to the foxes in Moseley, and any other animal that may be mistakenly shot in the dark. Sign this petition to tell Moseley Golf course that we want the shooting to stop now.